The PEC Policy Research Advisory Consortium fosters partnerships between local researchers, PEC, interns, and staff of local homeless family service providers in support of the children and families who experience homelessness. The Consortium also includes the PEC Visiting Scholar Program. Visiting Scholars conduct their own research and have the opportunity to undertake research with PEC’s staff and staff of other family emergency and transitional housing programs. By Zachary D. Wood, Department of Public Policy and Administration, Rutgers, The State University of New Jersey - Camden. 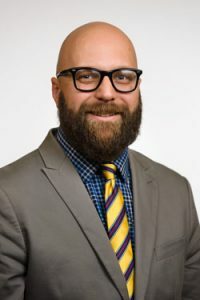 This PEC Visiting Scholar's summary examines homeless service organizations in-depth, through comparative case studies of Philadelphia and Houston, to better ascertain the determinants of homeless service organizations engaging in advocacy activities. The author also examines the types of advocacy activities organizations employ, and how those decisions are made. The analysis argues for a more refined definition of “advocacy” in the field of human service nonprofits, allowing for a deeper understanding of the role of these organizations in community development policy and practice.